Thanks for your interest. You can take advantage of our email subscription sign-up below. Make sure you include your first name, last name, and email address then click submit. We use this information to send you emails regarding updates, sales, and new inventory we have purchased. Although it is not mandatory we ask for your first and last name. We do this because it allows us to make the emails more personalized. Obviously we need your email address in order to send you emails. We do not ever share or sell information that we gather on our web sites. You will always have an opt-out if you choose. Signing up can benefit you in that occasionally we will have sales on inventory in which the only way you will know of these private sales is if you are subscribed to our email list. It will also give you heads up on new inventory and keep you informed of other important announcements we may have. We do not send regular emails. Only when we have something to say. 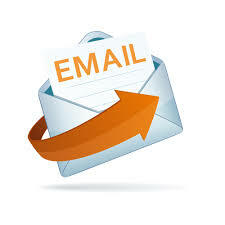 Once you are signed up you can click here anytime and unsubscribe from our email list. If you have any further questions please email trainman@traincity.com.